The task of taking on a CMS implementation project can, at the beginning, seem quite overwhelming. As you start to puzzle your way through the actions that need to be completed, it can start to feel like those actions are numerous and that the completion date keeps moving further and further back. 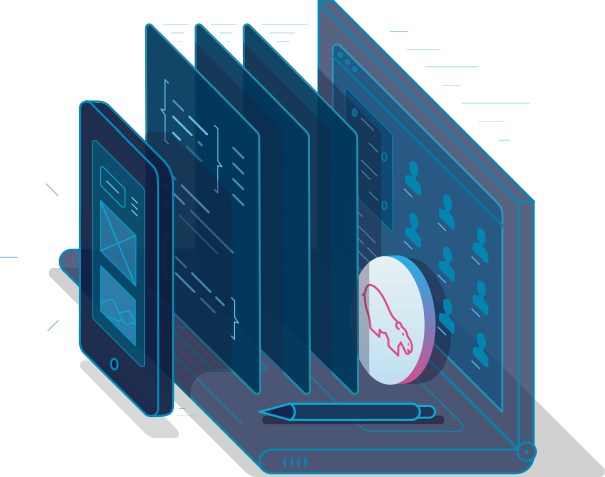 From talking to a handful of customers and partners about their CMS implementation efforts, a piece of advice that stands out is that the first step should always be to clarify exactly what you want to achieve through this CMS project. Once you have settled on this answer, every other element should slot into this CMS vision, and actions not directly tied to that vision should be moved to a lower priority position. This post provides guidance on how to decide on your project's aim and the subsequent steps to put the project into motion. A comprehensive guide related to this topic and further CMS implementation advice can be found here. 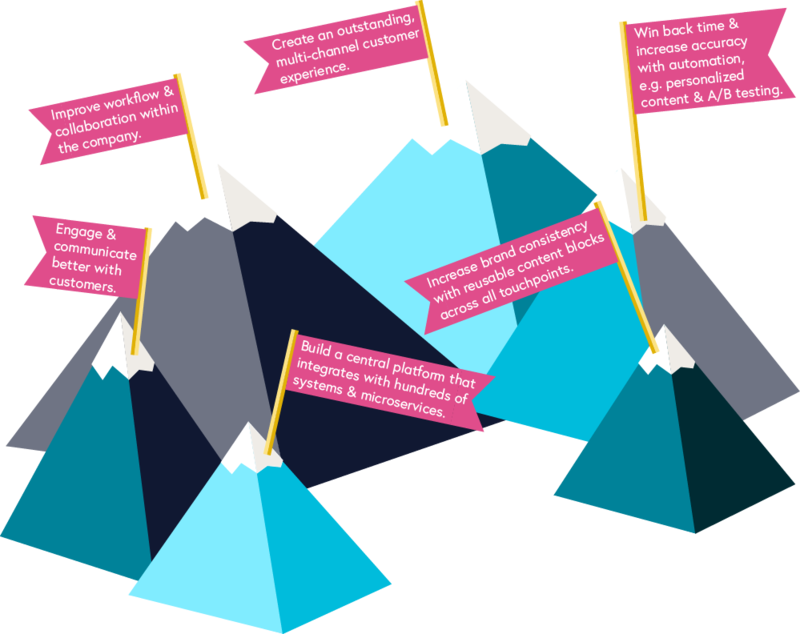 The most important question to ask yourself at the start of a CMS project is “What am I trying to achieve?” The answer to this question should not simply be to “migrate my content to a different CMS platform” or to “integrate with different systems”. 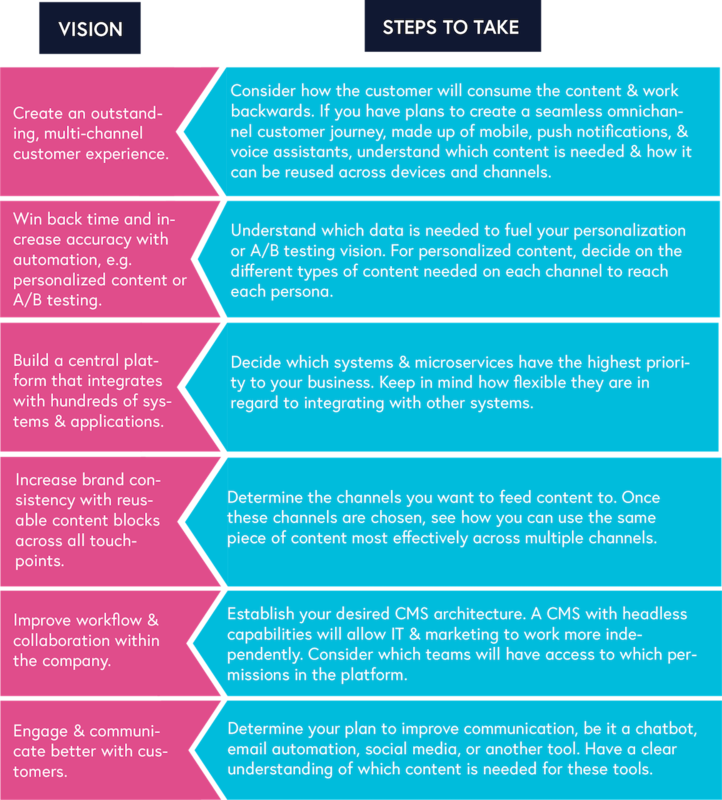 As an enterprise-level CMS is an investment, the overarching goal is usually to increase ROI. But a CMS offers various paths to achieve this goal, paths that can be combined for maximum impact and returns. Once you have decided the ways to increase ROI, the next step is to establish the most effective approach. Rather than be tied to your existing CMS, consider your vision first and determine which content and systems are necessary to accomplish it. Having a vision of the top of the mountain is great, but now you need an actionable step-by-step plan on how to get there. The best part is you can get started with this stage now. With a critical look at where you currently are, and where you want to be, you can start mapping out which content, data, tools, and integrations you already have - and which you need - to build your vision. A modern CMS allows you to create additional experiences and features that are impossible on a legacy system. However, it will not automatically solve areas related to your strategy or available content.